Heritage project and new build extension. This is perhaps one of the most interesting tales in the history of MCK Construction. One of the outstanding features in the small fishing village of Usan, just south of Montrose, is the old coastguard lookout tower, built in the final years of the 19th century. Just over a century later the old coastguard station was in a poor state of repair and the former lookout balcony had largely rotted away. 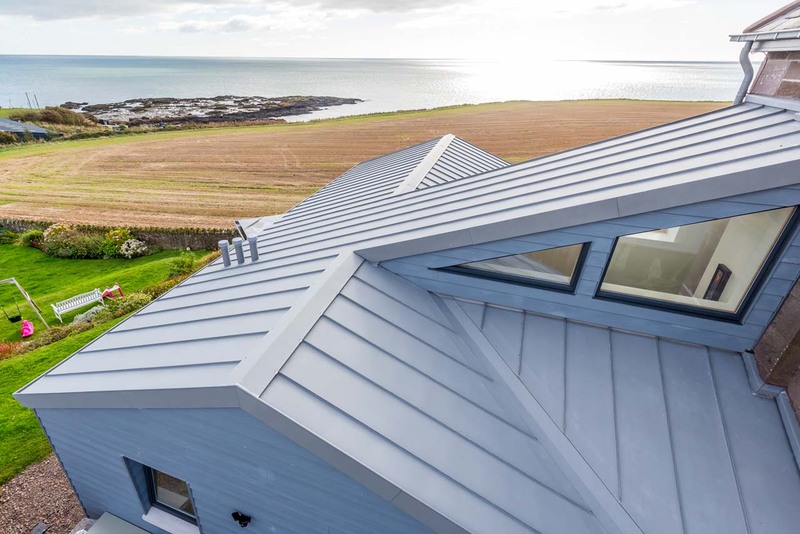 The stonework was repointed, the whole tower was given a thorough makeover and the original single glazed windows were removed and replaced with high spec modern units which cope with the exposed coastal location, ensuring the occupants are as comfortable as possible even in the most inclement weather. As requested by the planners, the extension is quite different and built with modern construction techniques; a timber frame structure, large gable glazing, maintenance free cement cladding, zinc roof covering and rainwater goods which all contribute to a stunning overall effect. 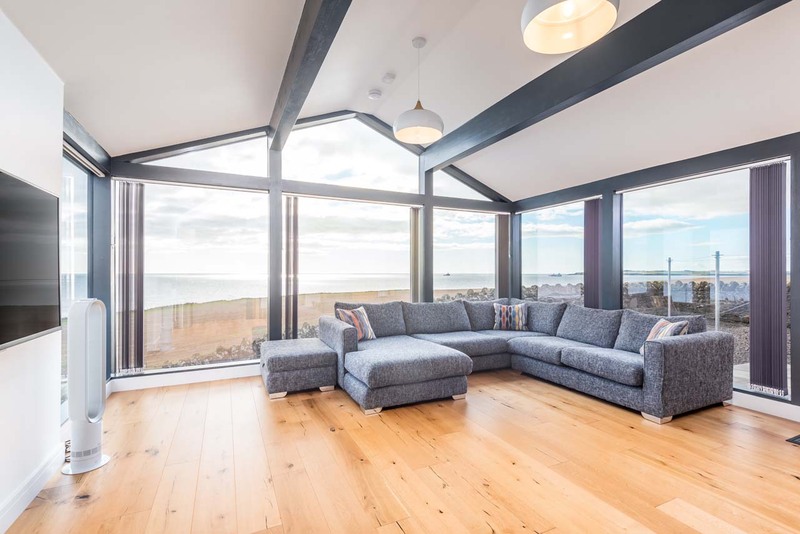 A projecting bay window to the first-floor bedroom and a large picture window in the lounge gives the residents a panoramic view over the rocky shoreline and the continually changing faces of the North Sea. 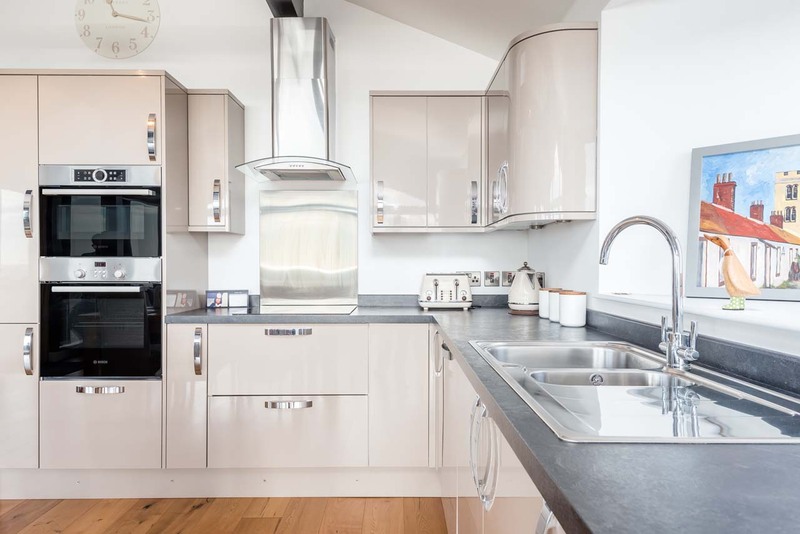 This was a very satisfying project for the MCK team, renovating a long-derelict building and bringing it back into use as a modern family home.